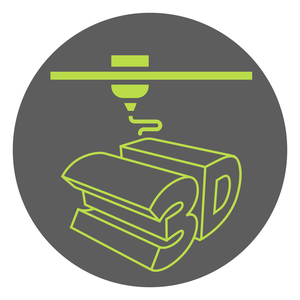 One of the biggest technological advancements made recently has been the 3D printer. The creation of the 3D printer has opened up almost limitless possibilities, including the use of 3D printing technology to print electronics onto a human hand. University of Minnesota researchers were recently able to print electronics on a human hand for the first time using a basic 3D printer that cost less than $400, but the printer was slightly customized. The results were recently published in the academic journal Advanced Materials. In addition to successfully printing electronics onto a hand, the team was also able to print biological cells onto the skin cell of a mouse. Another innovation made by the team in customizing their printer is the ability to accommodate minor movements made by the body during the printing process. They were able to prevent these movements from disturbing the printing process by putting temporary markers on the skin and then scanning the skin, allowing the printer’s computer vision to adjust to any movements in real time. The way in which electronics were printed on a hand is quite innovative. A specialized ink consisting of silver flakes was used that could cure and conduct at room temperature, thereby preventing potential burns. Once printed, the electronic device could simply be peeled off. This new breakthrough in 3D printing has a ton of potential! For example, soldiers could print chemical sensors onto their hands in the middle of the battlefield using a portable 3D printer. The technique could also be used to print cells onto the skin of patients who are suffering from skin diseases. 3D printing technology continues to advance at a rapid pace as new innovations are revealed every year. Find out more about how 3D printing can impact your life by keeping up with the latest health news at The Benefits Store today.